In this handmade earrings, I was playing with earring components that always fascinated me but never got around to using much. 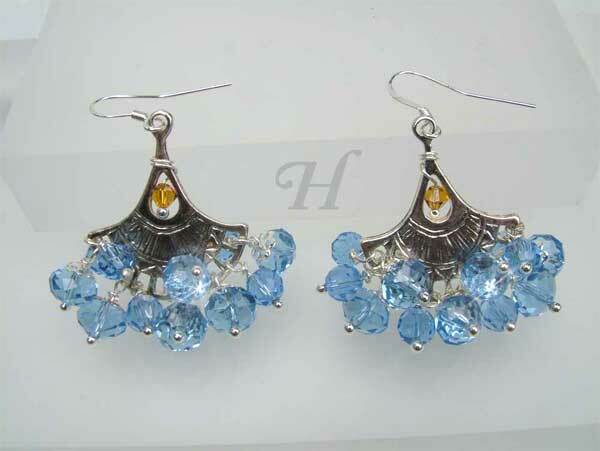 And so was born this Dancing Blues Earrings. 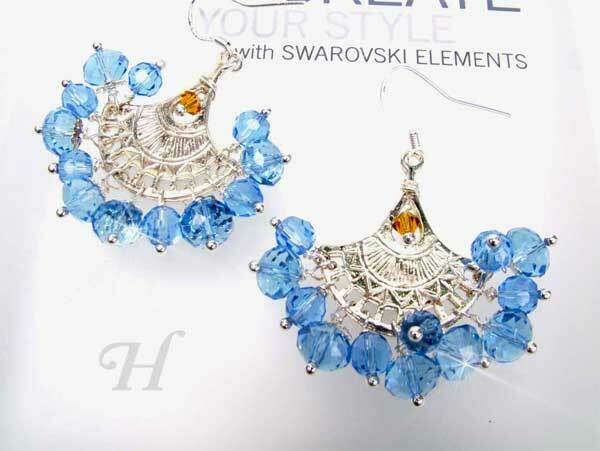 The earring component coming from Greece has an innate flair for flare. And with just a few loops of wire and a bunch or gorgeous Swarovski crystals with a touch of contrast Topaz – it was wholla, let’s dance!